I love pizza. It would be un-Italian of me if I didn’t, wouldn’t it? Which is a damned shame, really, considering I have to stay away from all things wheat-based. Ahhh, fructan intolerance, how dull life would be without you (cough, cough)! Actually, it’s somewhat of a blessing in disguise. Once you have to avoid or seriously limit your wheat intake for whatever reason, it really does liberate you. There are so many flours to play with! Plus, if you want to add some oomph to your protein intake with a dish, there are some amazing high protein flours that have started to become much more accessible in recent years. 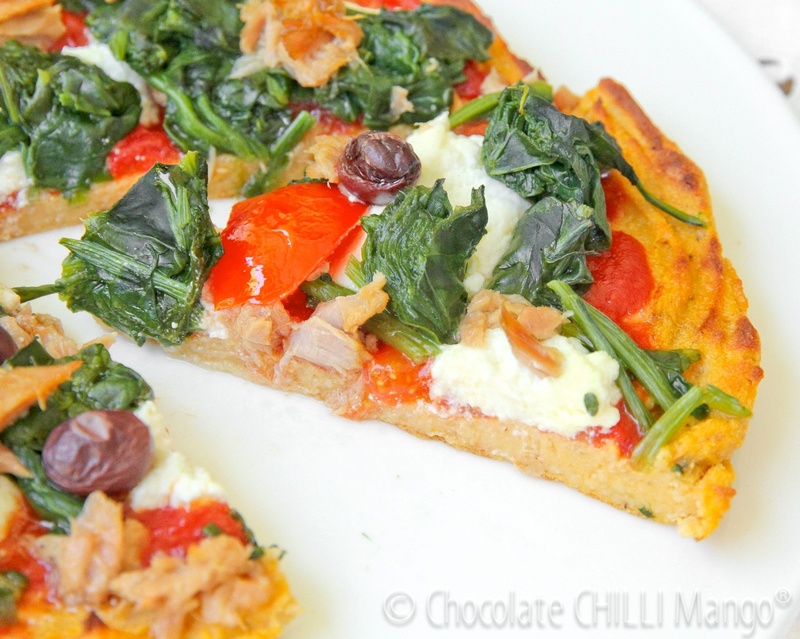 But I’d not attempted pizza before with the intention of making it a high protein version until … the wonderful and brilliant Anna over at Protein Pow(d)er Recipes mastered a fabulous protein pizza base sans wheat or dodgy ingredients – using sweet potato and buckwheat flour. Yep, it’s a bit more pancake like, but it’s awesome! When spread thin, the base gets nice and crispy around the edges but remains nice and soft in the middle. It’s filling but not heavy. Note the absence of protein powders. I’ve actually made this a few times and tried adding some pea protein powder but you know? It’s actually better without it. The other bonus is that this makes it a recipe that is also suitable for the whole family … sneaking in some quality veggies with the sweet potato in the base. Of course, if you don’t have access to liquid egg whites, rip open a pack of egg white protein powder, reconsitute and away you go. 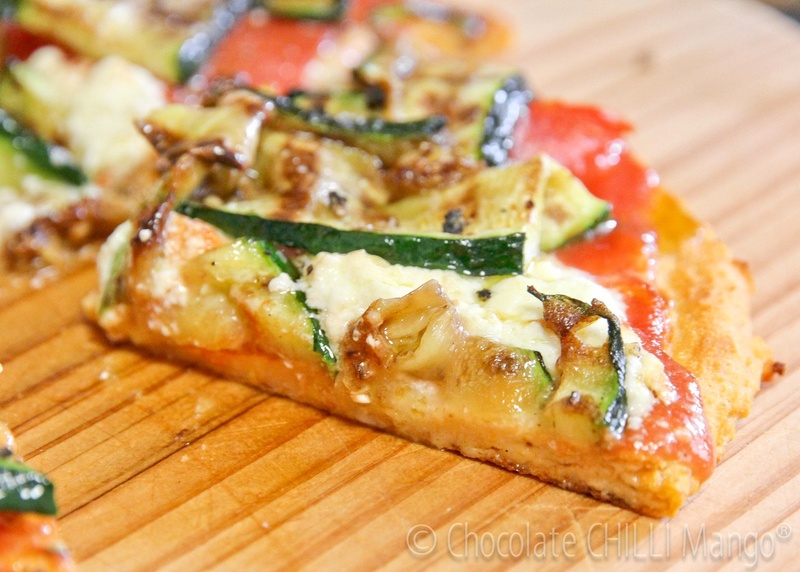 My favourite topping is the one I made the first time around … just tomato puree topped with fresh ricotta, grilled zucchini, fresh sliced tomato, a little basil and some chilli. But the version in the main photos was also grand – spinach, ricotta, tomato puree, a few Ligurian olives and some flaked tuna. Top it with whatever you love best on your pizza. It’s quick and easy to make. Macros are included at the end of the recipe. Pre-heat the oven to 175℃. In a blender, or using a stick blender, blend together all the ingredients. It will have a thick batter-like consistency, unlike dough. Check for seasoning. If making two pizzas divide the batter in half. Spread the batter out into rounds about 4 millimitres in thickness on a non-stick tray or pan. Bake for about 15 minutes or so until the base is set and fairly cooked through. Remove from the oven. Top the base with whatever you fancy! Then, grill under a medium to hot grill for about 5 – 10 minutes until the pizza is cooked through and the edges are nicely browned and starting to crisp a bit. Remove to a serving plate and serve immediately. The macros provided here are for the pizza base only, sans toppings, using quinoa flour. 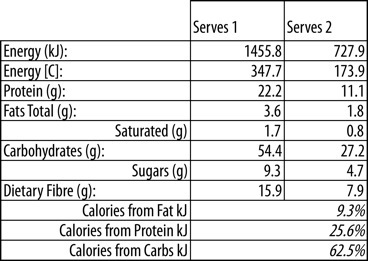 Factor in the macros for whatever toppings you prefer to use.